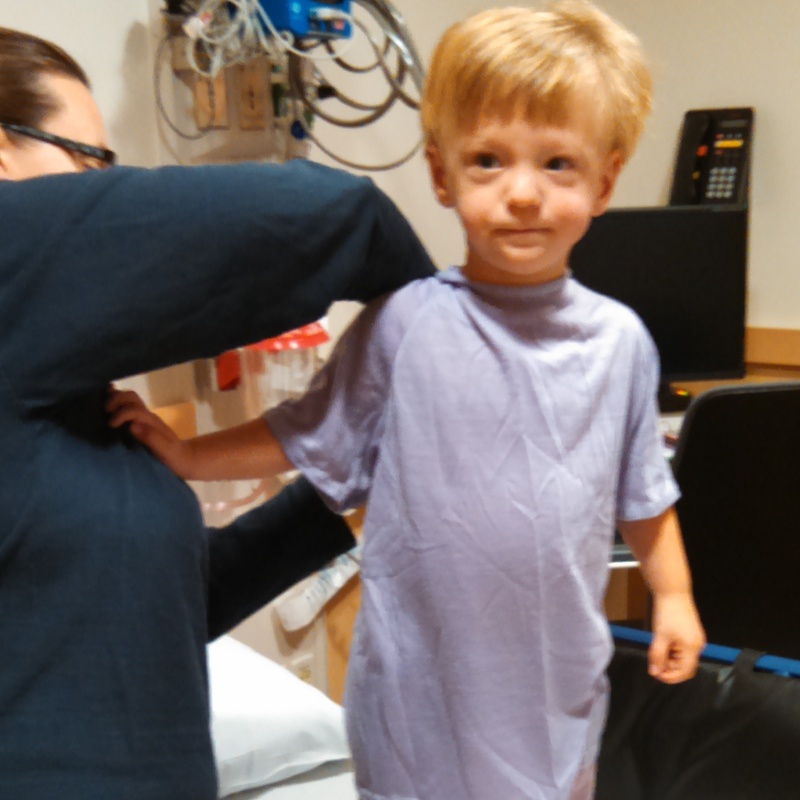 You all know how nervous we were for Jax’s brain MRI and hypospadias surgery, right? We arrived at 9:00 am to check-in for the 10:30 MRI. They were already running late. Uh oh. After a rough start of having to keep an active and starving two-year-old occupied for two-and-a-half hours in a tiny pre-op room, things started looking up. We were told the MRI could take up to two hours; it only lasted one hour. We were told the surgery could take up to four hours; it only took two-and-a-half hours! We were told we would have to stay overnight for pain management and observation; they let us go home! We were told we might not get the results from the MRI; we got a call from the neurosurgeon that evening. And guess what gang?! The tumor is STABLE! There were no signs of growth or changes. There were no signs of new cysts – a common occurrence with this type of tumor. We will have more of a plan for the tumor follow-up once we meet with the neurosurgeon. 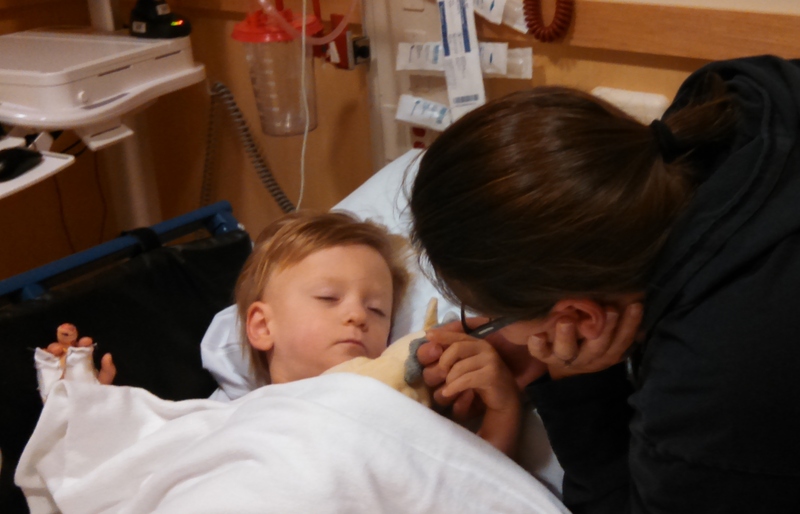 Jax will probably have another MRI in about 6 months. Until then, we will bask in the good news of a stable result! What an amazing relief. When we got home that night, Jax was so happy to be reunited with his toys – he was running, playing, and laughing – you’d never guess he just had major surgery. During surgery, Jax got a spinal pain block similar to an epidural, so we were worried that the pain would be really bad once that wore off. But, he did great. He cried a little bit and was clearly uncomfortable, but we’ve been keeping up with pain medicine and special medicine that helps prevent bladder spasms (caused by the stent) and that has been working well. When I laid down in my own bed on Friday night, I finally took a deep breath. After two months of constant stress and worry – what if the tumor grows? – I could breathe easy. Every cell in my body finally relaxed and I have never been so tired in my life. I really did feel like I had run a marathon! Jax is a little loopy today. We were up last night having a picnic in his bedroom at 3:00 am. 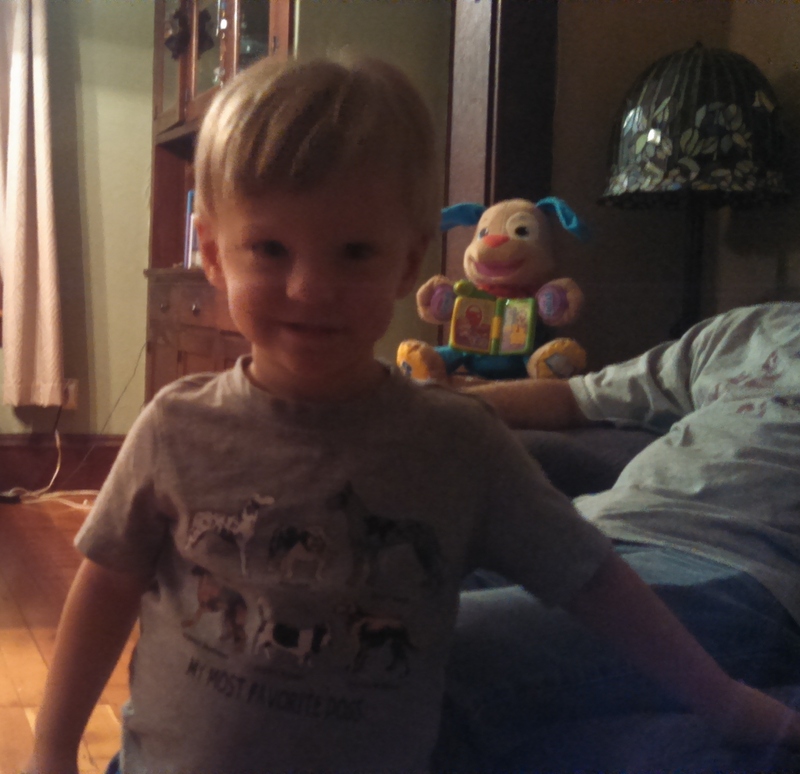 He was wide awake – dancing and singing and eating crackers until 4:30 am. He’s not sure if it’s morning or night; if he’s tired or awake; or hungry or full. Today, we get to start weaning off the pain medicine, so we will see how he does with that. We’re so grateful that he’s been able to recover at home in his own bed, rather than at the hospital. Thanks for all of your prayers and positive thoughts. They obviously worked. I just wanted to say your son is beautiful. He looks like a tough guy. Your blog caught my eye because my son will also have surgery for a severe hypospadias defect in January. Everyone acts like it’s no biggie but I can’t even get past wondering how I’m going to buckle him in his car seat on the way home. Do you have any tips? 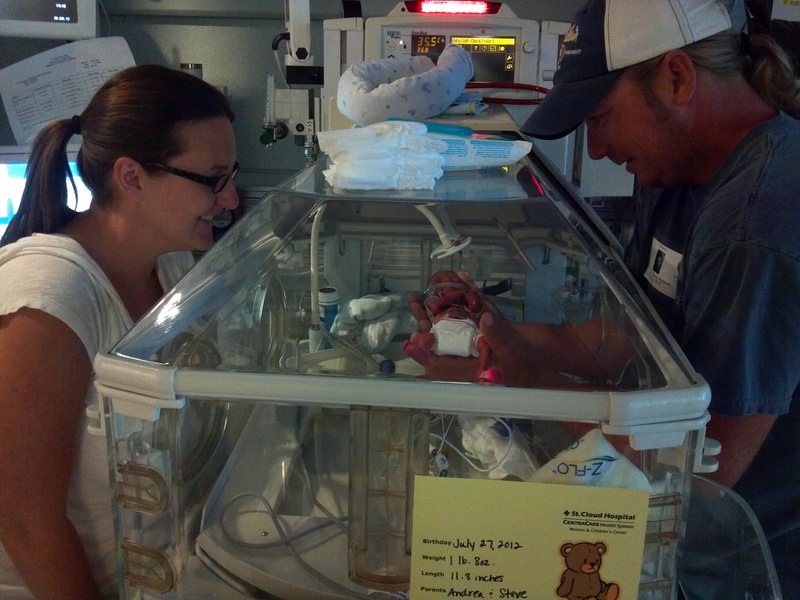 Thank you so much Andrea for all you do to keep us who are always interested and praying for Baby Jax and your family. With all that you go through, you should have aged to the tune of 110 years old. Baby Jax is definitely with the right family. No one does it better. Take care Baby Jax as the whole world (along with some of those in other Heavenly capacities) are following your every move. Love and Hugs and a Lifetime full of Friendship…….God Bless! I feel about 110 years old these days, Kathy! I’m so relieved it was good news. Thanks, as always, for reading and for all of your support. Yay! So happy for all of you! So happy to read that everything went well. Glad you can finally breathe again. We are always thinking of you guys and praying for little Jax. Keep up the partying buddy!!! Thanks, Jen! It was such a huge load off my shoulders!